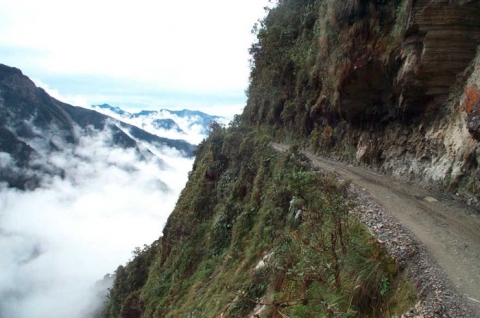 North Yungas Road in Bolivia Death Road in various parts of the world. 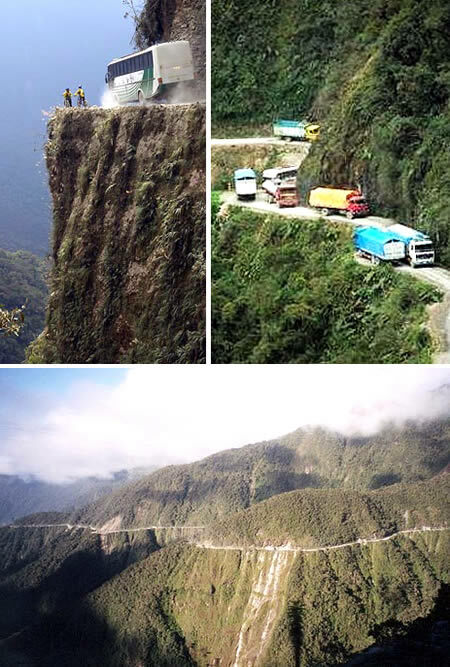 North Yungas Road, known as the death road, stretching as far as 61 to 69 km from La Paz (Bolivia's capital) to Coroico in the Amazon region in the Yungas region, Bolivia. So dangerous to the legend. 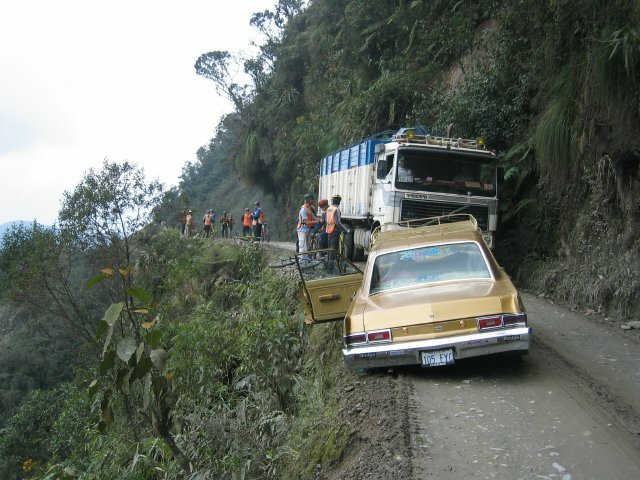 In 1995 the Inter American Development Bank membabtisnya as "the most dangerous road in the world". 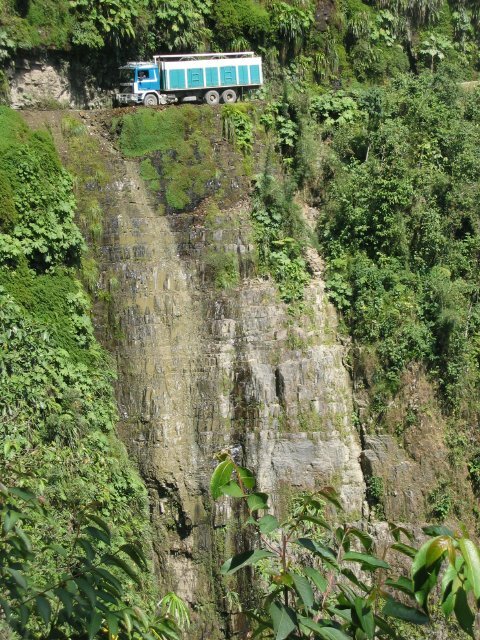 An estimated 200-300 people were killed each year on the road. Along the way, many of the cross marks the many places the vehicles had an accident.